Animal Collective have been around for over a decade and their journey has been nothing but adventurous. 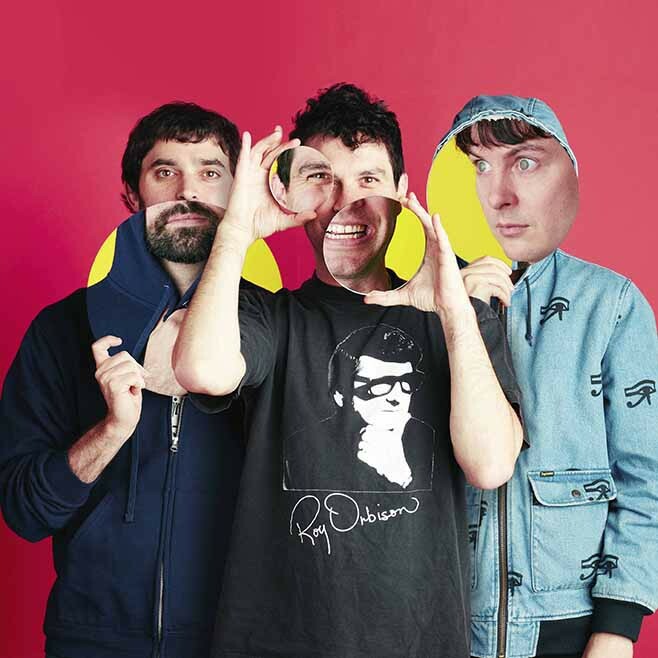 The pop highlight of their career was probably the release of “My Girls” in 2009 from Merriweather Post Pavilion but that song, that sound does not event come close to reflecting Animal Collective’s full repertoire of sound. With each album their aesthetic shifts and, on many levels, the band has always been ahead of the musical curve. Their perpetual pursuit of a new psychedelia takes them places one can never really truly expect in the anticipation of the next release. The most recent EP, Meeting of the Waters, is a great example of this metamorphic approach to music – the EP was recorded in the Brazilian Rainforest. And this is not the first collection of tracks that takes advantage of the environment. There were Campfire Songs, Sung Tongs were enhanced by the sounds from Avey Tare’s local deli, and Strawberry Jam reflects on the sounds of Arizona. Each release carries through with ecstatic energy, natural calmness, and inventive use of nature’s sounds or surrounding environment. This progressive approach to music makes them a band you cannot stop watching. Their fanbase is as vivid as their collection of releases and ranges across two decades of boys and girls. Last week the band returned to Toronto’s Danforth Music Hall (seems to be their local venue of choice) for another highly anticipated sold-out show. The evening opened with Chicago’s Circuit des Yeux, real name Haley Fohr. Fohr’s deep dramatic voice and sad, at times even tragic, sound and delivery is unexpected, open, and somewhat heart-wrenching. This weirdness was a suiting set up for the upcoming Animal Collective set. The lengthy break between performances was augmented by “Blue Noises” but if anything was an indicator of what’s to come it’s the stage: decorated top to bottom with colourful cutout shapes and paper mache characters that glowed from the inside, the stage was promising a hell of a light show. The show was energetic and encompassing, everything glowed in the dark, and each song had it’s own unique pattern. The crowd was packed in wall-to-wall going wild, throwing their arms up in the air, clapping along, and dancing infectiously. Something about this particular set, this particular level of Animal Collective weirdness reminded us of the Mighty Boosh, and that’s a great thing. This is a show that needs to be seen live because that’s the only way you can trully be a part of the Animal Collective world.